I kept my trap shut, but belatedly offer this shot of the big freeze of 1950 by way of belated response. Previous PostBallard & Its Locks from the GNRR Bridge – An "Edge Extra"Next PostNEWSFLASH! Snow hits Paris! 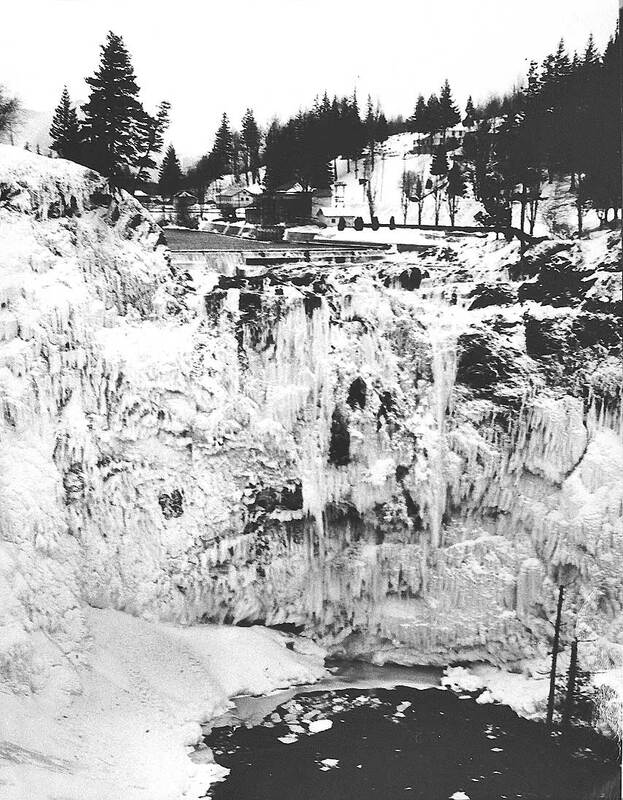 A few decades ago Snoqualamie falls was one of my favorite spots. It could be approached from a small lower parking lot by a tiny trail that ended at an outlook part way down the north side, well below the official lookout spot. With almost complete privacy and plenty of comfy space to enjoy the ambiance of the magnificent roaring water, it was a wonderful locale to drop acid. holy cow. stunning. are those colors real or did you use a filter or ???? stunning. How can Lisa question the “veracity” of Jean’s colors!!!? Rather that we question him about his prospect. Holy cow, surmounting. Is your prospect a real one or did you use your big ten-footer? This photo is great, really, without a doubt. But it is obvious, that imho the colours have been digitally enhanced way too much. 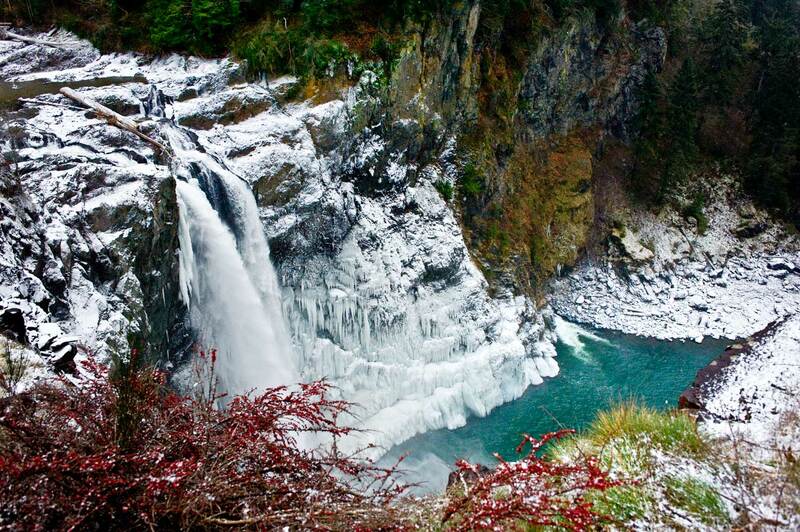 Can be clearly seen by looking at the green of the trees at the far side of the waterfall.